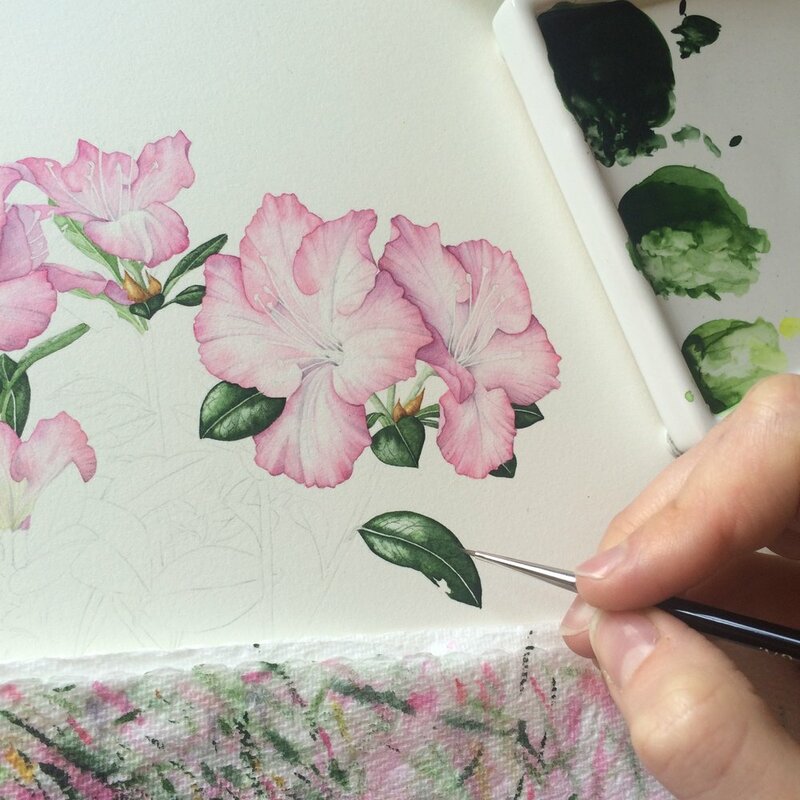 The final piece I painted for the Society of Botanical Artists Diploma Portfolio was an illustration of an azalea. This part of the portfolio was titled 'Botanical Illustration', i.e. the piece needed to be focused on scientific accuracy and we needed to include a dissection. I chose an azalea for this piece which I found at a local florist. As you can see from the photos below... I bought quite a few... and they completely brightened up my room! As always, sketchbook work is the first step in completing a piece like this. 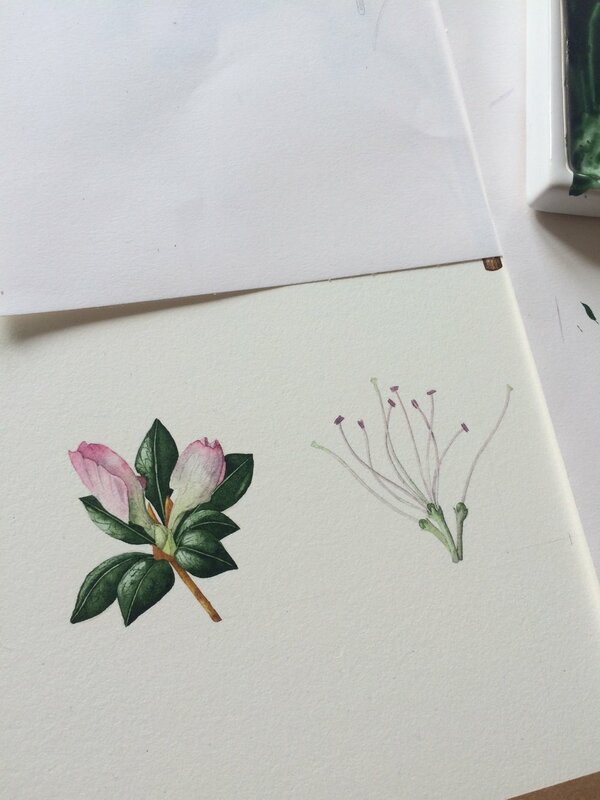 Its in the sketchbook that you document the composition of the plant (how many petals, stamens, what the leaves are like etc) accurate measurements, and colour matches. The composition of this piece was also going to be crucial, as it contains a number of different components. Balancing these out in a composition can be difficult. As before, I used my usual technique of making multiple tracings of each component in order to move them around the page and decide upon my layout. The photos below will show the work in it's various stages. There is one more dissection that you can't see in the photos below... or very well in the final digital image, as it is done in pencil. I made sure that this was the right balance of delicate pencil but easy to see from the first look at the painting. It also shows up really well on the print too, which is a bonus! This was a quick overview of my final piece for the portfolio. This painting is for sale, and limited edition prints are available here. In my next post I'm going to write a summary of my thoughts of the diploma and the important lesson's I've learnt over the last 27 months.